Today's post is a bit of tease because it's a sneak peek but thankfully the product is launching very soon! Kevyn Aucoin Beauty just released a new concealer formula following in the footsteps of their very popular Etherealist foundation. The formula comes in 10 shades, with one of the shades being a color corrector. The applicator is a small doe foot which can be hit or miss depending on the size of the sponge and formula of the concealer. This particular doe foot is a great size, and is easy to spot treat around the face or to use around the eye in a specific placement (this is my preferred method). While my under eye shade is mix between Light 01 and Light 02, I have been using the Corrector more because it has a peachy undertone which I find helps to color correct any under eye darkness the most effectively. The formula is a medium coverage that blends very easily into the skin. I didn't find it to be super brightening, but rather do a good job of concealing any darkness. The texture is a medium weight that can be sheered out for less coverage or built up for more. 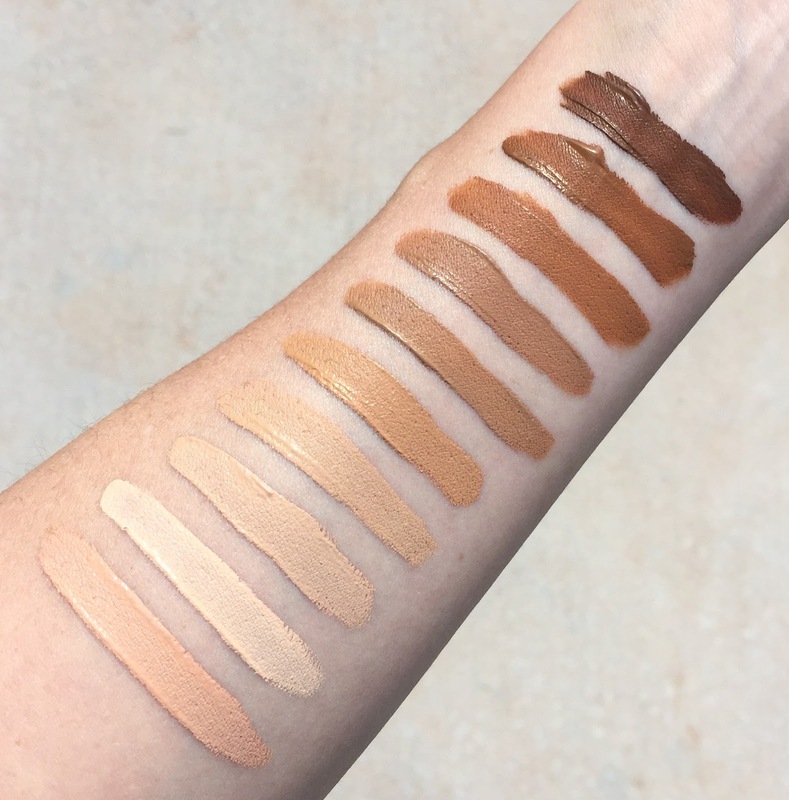 Just from my initial swatches, I was worried that because they were quite opaque and seemed thick (each swatch above is with just one application/swipe) the concealer would be a bit drying for under my eye. Surprisingly it was not at all and felt creamy when on the skin with a satin finish that kept my under eye area looking smooth, and I was able to blend it out with my fingers, a brush or a beautyblender. It lasted all day and I didn't notice any creasing (and I didn't set it with powder). The concealers will be launching on Sephora and the Kevyn Aucoin website in early August. I love that there's such a big variety of different shades!